From beloved Governor General Literary Award—winning author Susin Nielsen comes a touching and funny middle-grade story about family, friendship and growing up when you're one step away from homelessness. Felix Knuttson, twelve, is an endearing kid with an incredible brain for trivia. His mom Astrid is loving but unreliable; she can't hold onto a job, or a home. 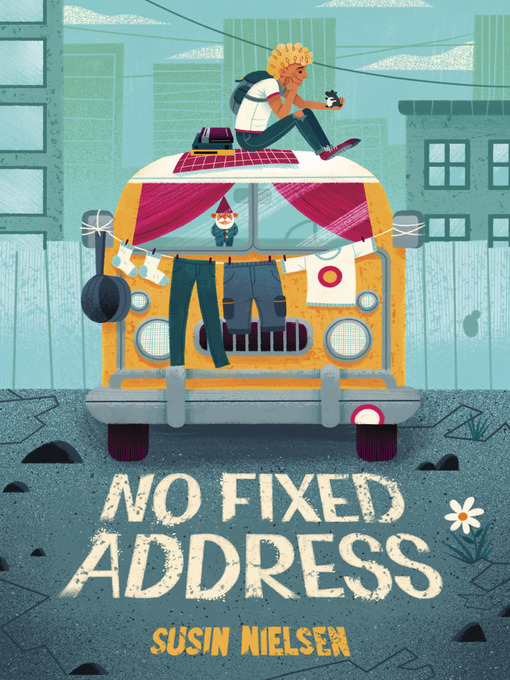 When they lose their apartment in Vancouver, they move into a camper van, just for August, till Astrid finds a job. September comes, they're still in the van; Felix must keep "home" a secret and give a fake address in order to enroll in school. Luckily, he finds true friends. As the weeks pass and life becomes grim, he struggles not to let anyone know how precarious his situation is. When he gets to compete on a national quiz show, Felix is determined to win — the cash prize will bring them a home. Their luck is about to change! But what happens is not at all what Felix expected.